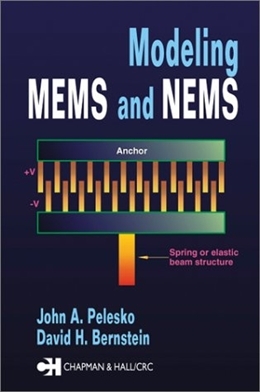 In this new book devoted to MEMS and NEMS modeling published at the end of 2002 authors bring you up to speed on the latest advances in MEMS. "This is among the finest books for modeling MEMS. Most other books give a mish-mash of fabrication and modeling, but you never figure out how to model!! This one is different. This is the gold standard for MEMS books to come.. I picked it up along with many other MEMS books from the library, never thought I would use it, but this is the ONLY book I use. Good even for the the advanced MEMS designer as a quick reference. But great for a new reader who wants to grasp the fundamental of modeling", said a reader. The book has well structured contents including numerical methods for continuum mechanics, thermally driven systems, elastic structures, thermal- and electrostatic-elastic systems, magnetic actuation, microfluidic devices and much more. Every chapters are supplemented by exercises and contains related reading and notes sections.